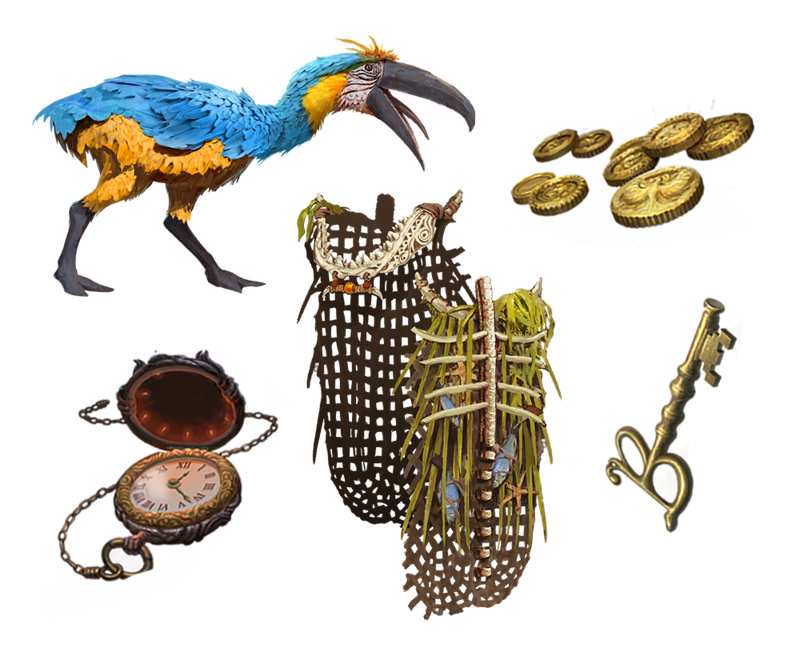 A new group of cosmetic items for Ashes of Creation is coming to shore! Latent magic left from the apocalypse has seeped into the waters and lands of Niküa, imbuing the ecology with powerful energies. As such, the Niküa islands are fatal for the inexperienced. 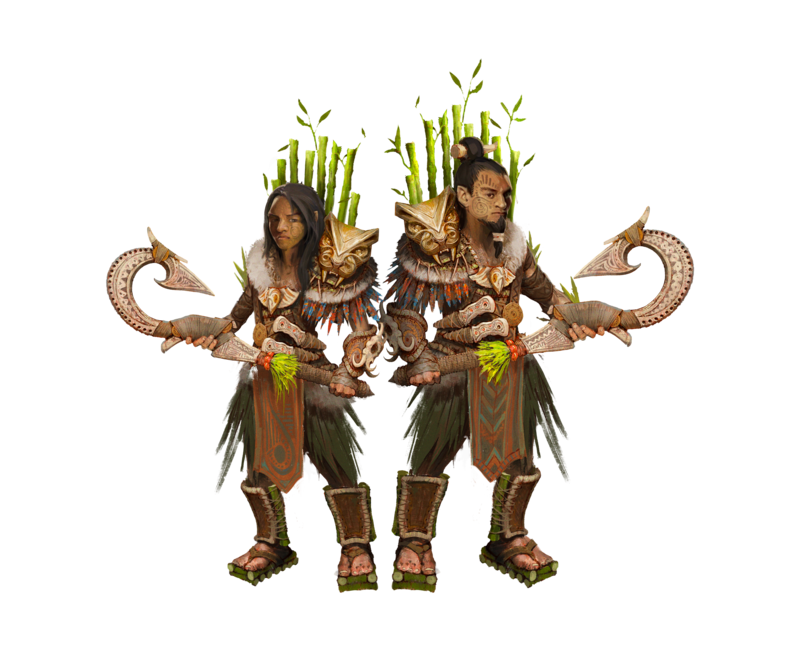 To be a Beastmaster is to be an exemplar of the Niküan’s might and perseverance, while recognizing their place and role in nature as a whole. This profound insight creates an unshakable bond, and to see a beast and its master fighting in concert is to witness killer instinct in its purest form. 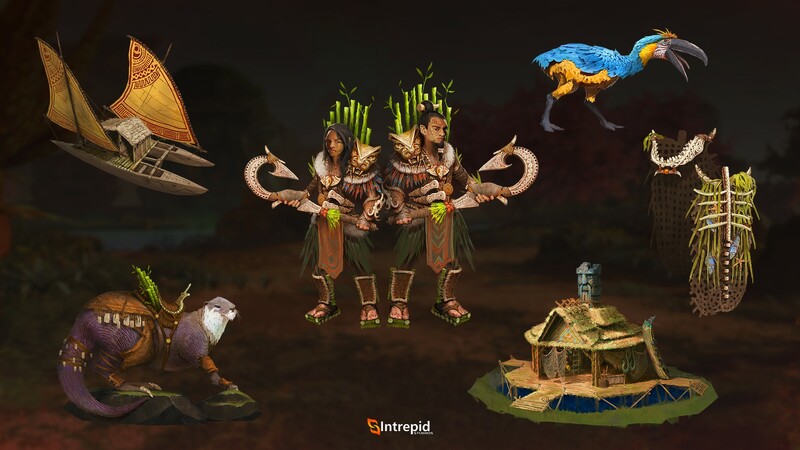 These Niküa-themed cosmetics will be available as addons in the Ashes of Creation shop from April 4, 2019 at 4:00 p.m. Pacific, until May 1, 2019 at 11:00 a.m. Pacific. 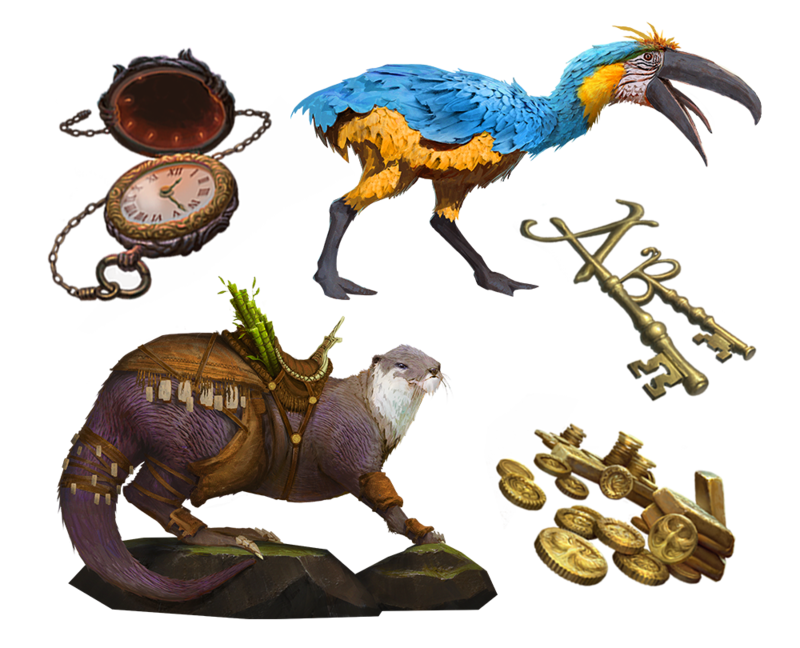 Reminder that this means the February Cosmetic bundles will be removed on April 4, 2019 at 4:00 p.m. Pacific during the swap over, so seas the day and grab them while they’re hot! A wide net cloak held together with a piece of shark’s jaw. 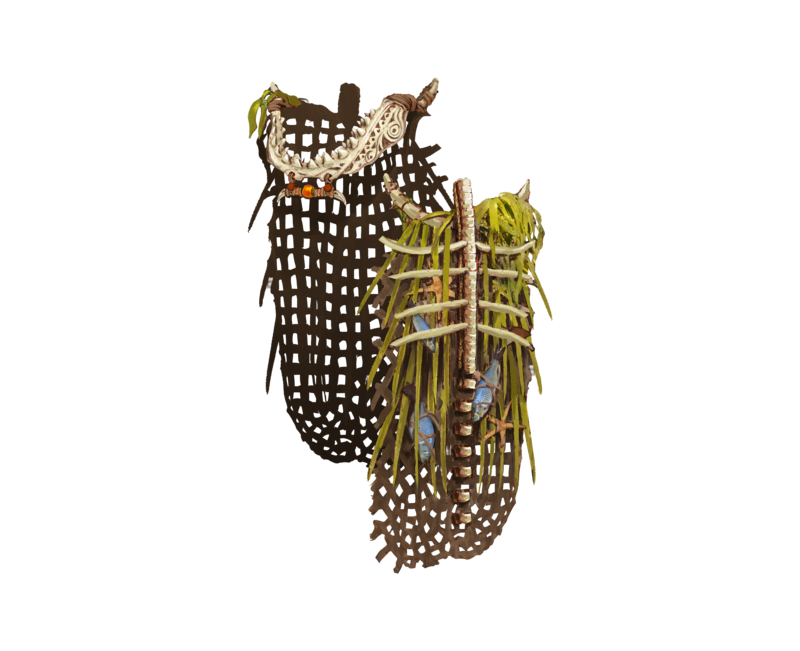 Bold, and indicative of one’s gritty mastery over the sea’s mightiest hunters, as well as being useful for trapping any hapless victim at a moment’s notice. 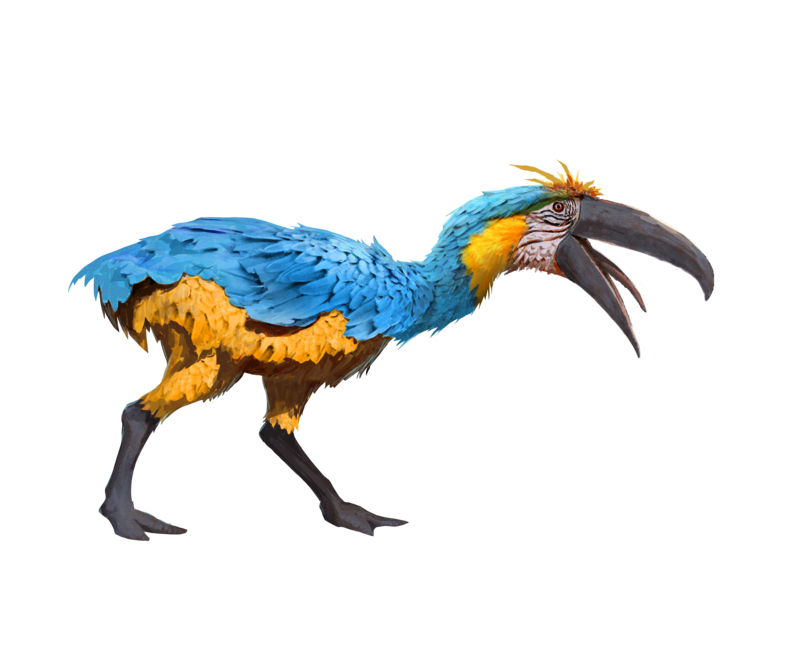 Due to the hostility and danger within its natural environment, this vibrant and beautiful flightless bird has slowly evolved its beak into an adept hacking tool for fending off predators and accessing the nutritious innards of hard plants. Any hunter who comes across one must take care not to be distracted by the deluge of bright plumes, lest their blood be added to the canvas. 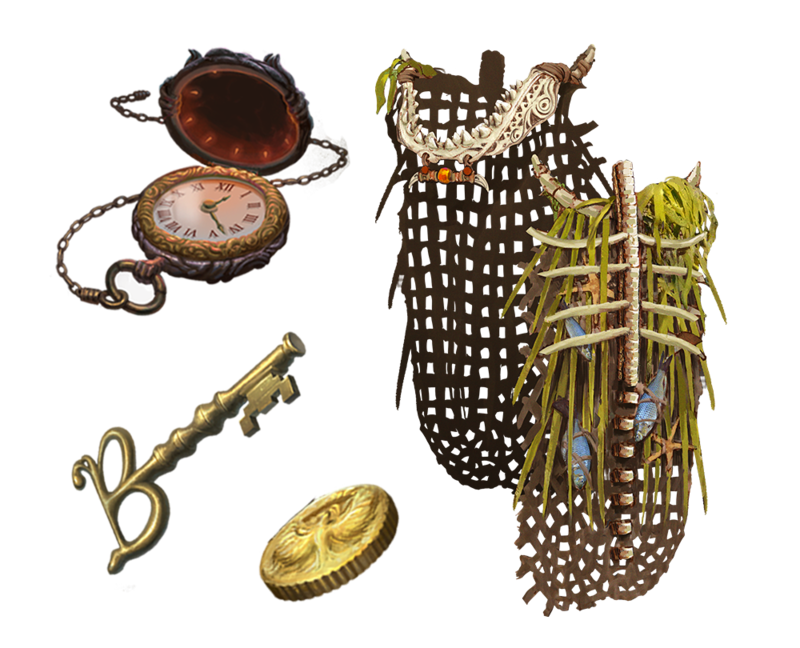 Rampant magic wrought from the aftermath of Verra’s end has imbued and transformed the local ecology immensely. 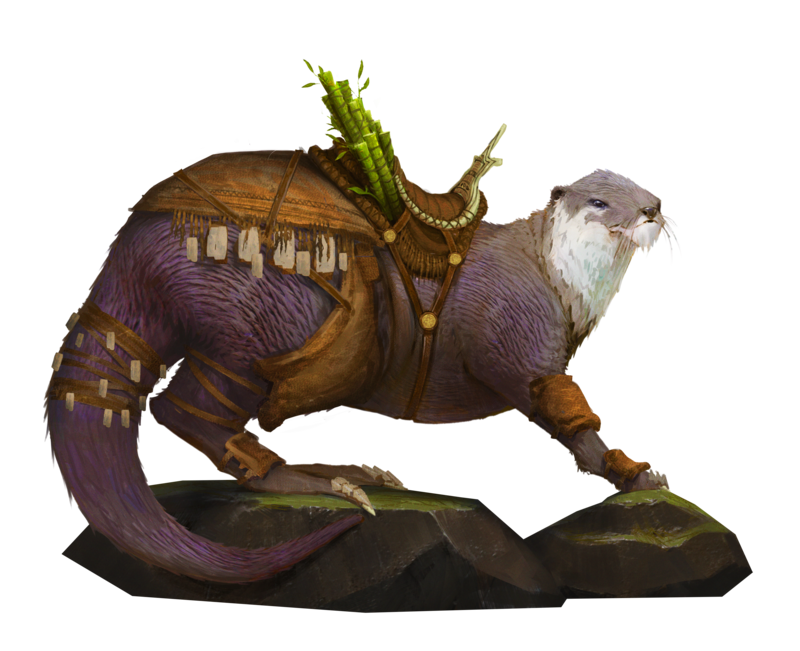 The Tidebreaker is one such creature, and its agility and strength atop land, or under the waves, are revered by countless island warriors. 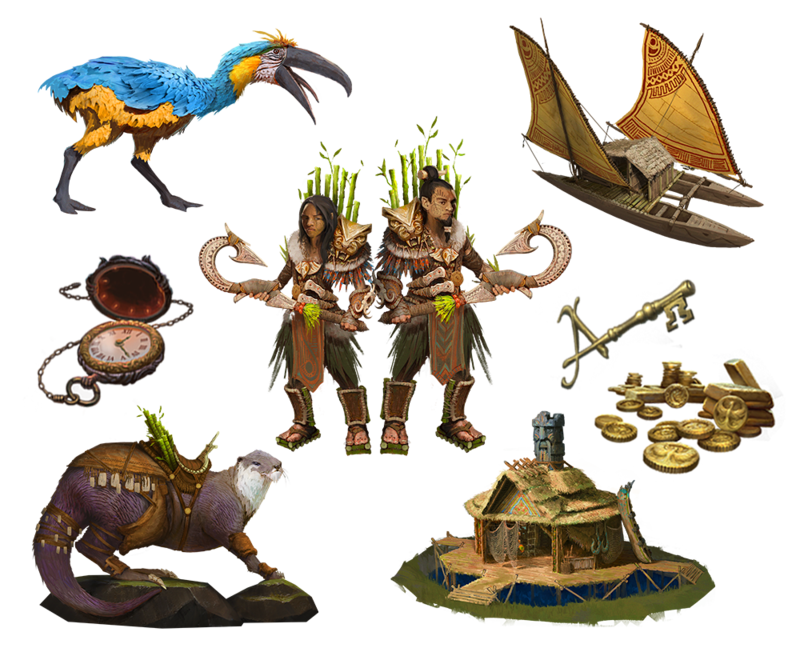 The greatest hunters of the island tribes pay their respects to their predecessors in the form of sacred totems. Through their veneration, the ancestors grant hunters their favor. A massive bone hook is the preferred armament of many pragmatic aspirants, and is also an imposing weapon in its own right. 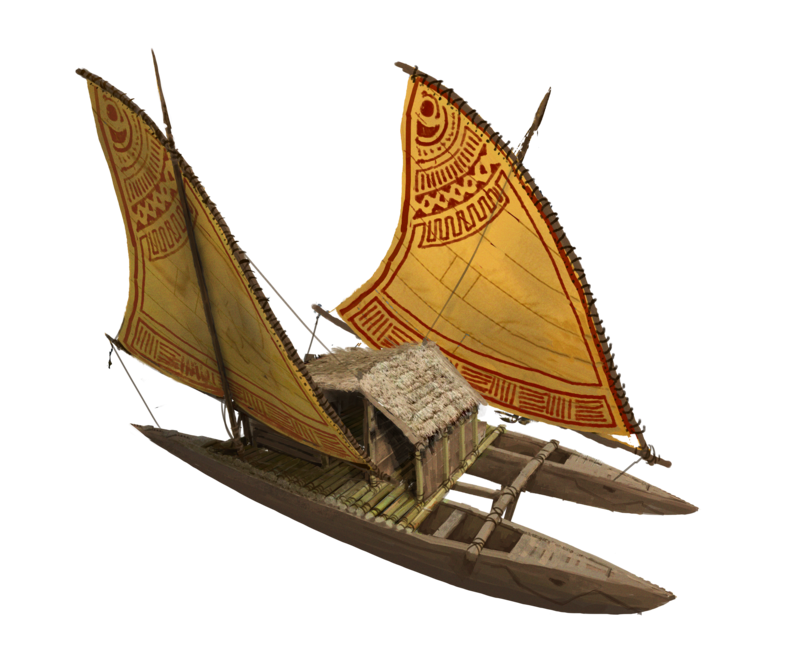 An ocean vessel is versatile and sturdy, much like the people of the island tribes. This particular vessel has had its two hulls made to resemble two fearsome sharks, and has seen conflict on many shores. It is a prodigious symbol of strength and prosperity, and many have rallied from the edge of defeat under its sun-bleached banner. Among the island tribes, the sea is sacred, as it is from where their teachings and sustenance stem. 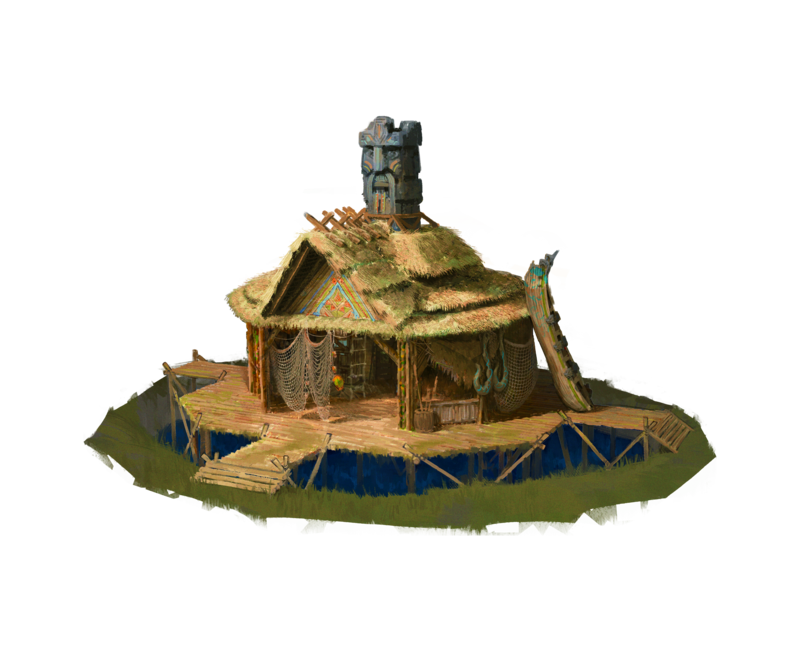 This seemingly mundane fishing hut serves as the cornerstone of the tribe’s culture, and the elders all agree that one should only take what he needs from the sea, lest he draw the ocean’s fathomless ire upon his people’s shores.